Using Kingsford® charcoal, build a fire for direct grilling and preheat to medium-high (approximately 400°F). 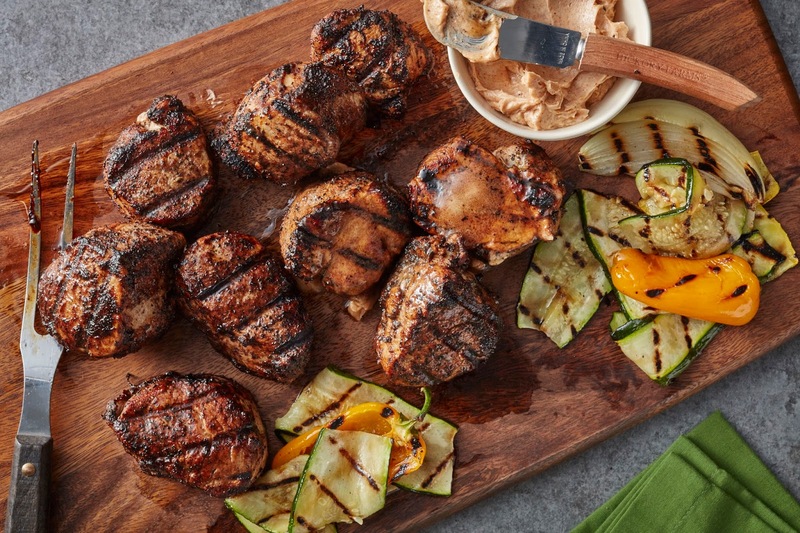 In a small bowl, combine Kingsford® Original Smoked Hickory BBQ Sauce Mix & Dry Rub and ground coffee and mix well. Season pork medallions with the BBQ coffee dry rub then grill for approximately 5 minutes per side until they reach an internal temperature of 145°F. Remove pork medallions from the grill and immediately top each medallion with BBQ butter before serving. Combine butter and Kingsford® Original Smoked Hickory BBQ Sauce Mix & Dry Rub in a small bowl and blend well. Set BBQ butter aside until if using immediately, otherwise cover and refrigerate.